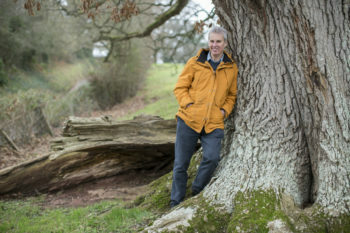 Ahead of the famous Oxford Literary Festival this weekend, Graham Harvey, is my guest blogger for this week. 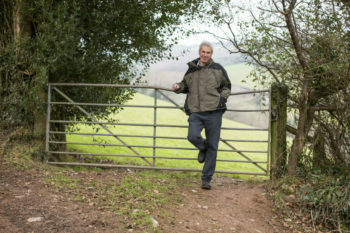 Famous, award winning writer and former agricultural story editor of the Archers Radio 4 drama series, Graham unveils a new storyline for the real countryside. Britain could lead the world in the fight against climate change by recreating the countryside of World War Two. By planting overworked arable fields with orchards, copses, hedges, small arable fields and grazing pastures, farmers could capture huge amounts of carbon while producing more and better food. With scientists warning that it’s now almost too late to avert climate catastrophe, concerted action by farmers is one of the few options left if our planet is not to become uninhabitable. Given government backing, UK farmers could unleash the power of nature to capture carbon on a massive scale. This coming weekend at the Oxford Literary Festival, I have gathered a formidable team of speakers to argue for an end to industrial farming. They include Farmageddon and Dead Zone author Philip Lymbery, Chief Executive of Compassion in World Farming; environmental consultant Dave Stanley, nutritionist and writer Zoe Harcombe and Dr Hans Herren, the world’s leading proponent of ecological agriculture – farming with nature. 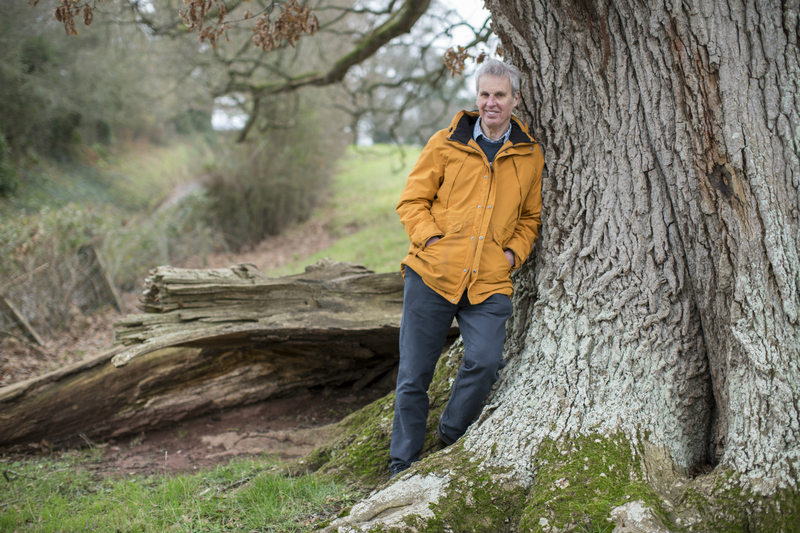 I believe, as we leave the EU’s common agricultural policy, we have a unique opportunity to act against climate change. Parliament now has the freedom to set farmers their biggest ever challenge – making the world fit for future generations. Large-scale industrial farming is the cause of many of our worst environmental problems but good farming – something at which Britain once led the world – could easily be the solution. There’s an overwhelming case for a return to sustainable mixed farming, in which pasture and grazing by cattle and sheep are an essential part. We need to abandon the chemically driven arable prairie and move to small fields and hedges. It’s a sobering thought that back in the 1950s, Dan and Doris Archer of Ambridge were producing more nutritious food than much of what fills our supermarkets today. Meat, dairy products and eggs were mostly from grazing animals or pastured poultry, as a result, they were rich in health-protecting nutrients. At the same time soils stored far higher levels of carbon than today. Eating is the fundamental way we connect with our environment. When we eat processed food we create an industrial landscape. When we choose healthy food we’re also building fertile soils, increasing biodiversity and fighting climate change. 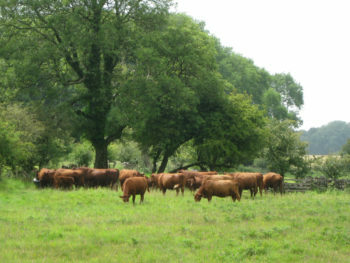 The post-war switch from fertility building, mixed farming to industrial agriculture based on factory-made chemicals – many of them toxic – has robbed our everyday foods of nutrients and the countryside of much of its wildlife and the destruction of countryside features such as hedges, woodlands, meadows and marshes to make way for industrial agriculture, has released vast amounts of carbon into the atmosphere. There’s now a need to rebuild biomass – the living part of the terrestrial ecosystem – by restoring many of these features in our countryside. This will capture and store much of the released carbon. Far from making the countryside less productive – as many agribusiness lobbyists claim – the switch to mixed farming could increase our food supply and make foods more nutritious. Intensive animal factories – such as pig and chicken sheds where they’re fed on chemically-grown grain – have no place in sustainable, wildlife-friendly food systems. This Saturday 30th March will be Pasture to Plate day at the renowned Oxford Literary Festival. This was inspired by Graham and his ground-breaking new book Grass-Fed Nation which argues for a return to sustainable mixed farming and the abandonment of the intensive, chemical methods that are killing our wildlife, destroying our soils and speeding up climate change.